Cleanup is faster and it doesn’t damage lawns. Sweeps streets and pushes snow. Fits the Branch Manager Grapple! 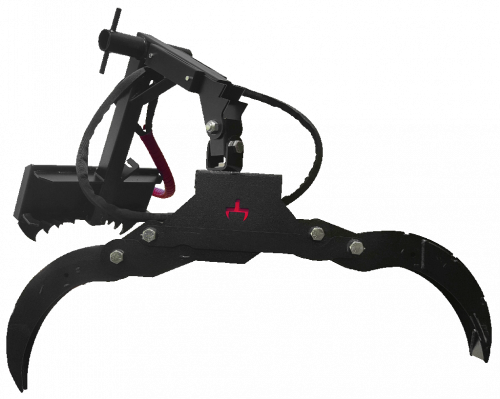 Designed for professional Tree Care companies that want to save hours on removal cleanups. 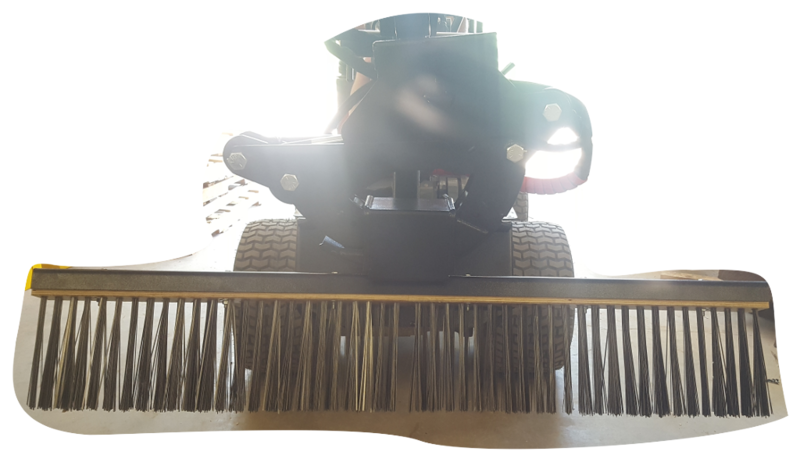 Great for sweeping up stump chips, rakings, pine needles, rocks, or anything you'd rake by hand. 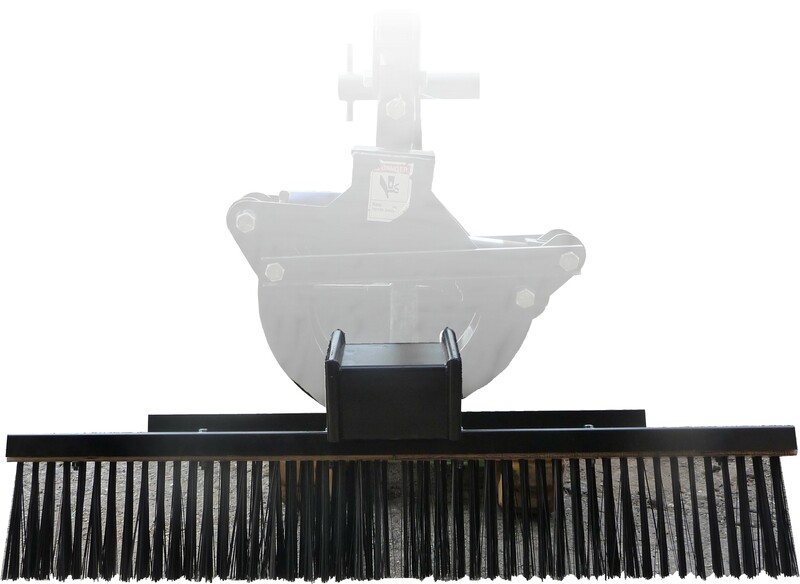 The rake contains over 1700 Spring Steel tines that are virtually indestructible. Easy to store on your equipment trailer. 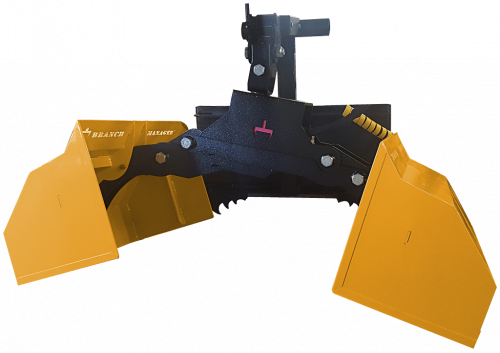 No need to disconnect your hydraulic hoses to use. The Branch Manager Grapple grabs the rake and hooks into the hanger!